Television has been desperately, desperately in need of a teen-centric supernatural drama series that doesn’t revolve around sparkly vampires or inexplicably lovestruck werewolves for quite some time now – and thankfully 'The Fades' has arrived to fill this bloodthirsty void. Written by Jack Thorne – best known for his work on 'Skins' and 'This Is England ‘86' – 'The Fades' follows the story of Paul (Iain de Caestecker), an unusual teenage boy who suffers from vivid nightmares, social awkwardness, occasional bed-wetting and bumping into dead people. 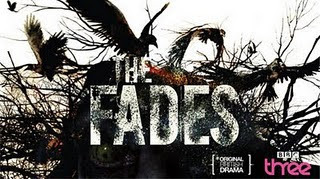 Two episodes in, and the plot has been firmly established – dead people who are unable to ‘ascend’ (to where we’re not sure, the spiritual waters are murky) and remain on earth are called ‘fades’. This status quo has been successfully maintained until recently, but a number of disgruntled spirits have started eating people and manifesting physical form, led by an absolutely terrifying creature that vaguely resembles Gollum. Thus we have conflict, imminent doom and the need for a saviour: enter unwilling hero Paul. Of course, no hero would be complete without his foil, and we find this in best friend/bumbling sidekick Mac (Daniel Kaluuya), an endless fount of pop-culture references, whose two principal obsessions are 'Star Wars' and the female anatomy. So far, 'The Fades' seems to have been concocted from all the best bits of shows that have contributed to this genre over the past decade. There are shades of 'Buffy The Vampire Slayer' in the basic narrative, elements of the absurdist and distinctly British humour of 'Being Human' and a tension-building cliff-hanger format that’s reminiscent of 'True Blood'. The dialogue is convincingly written, giving the characters real authenticity. All too often writers seem to try far too hard to be ‘down with the kids’ and fail miserably – see: everyone below the age of 20 on 'Eastenders'. Thankfully, Thorne seems to have avoided this pitfall, and has crafted an engaging set of characters, as well as a thoroughly intriguing plot. Some may criticise 'The Fades' for sticking too closely to the conventions of the genre (there are plenty of creepy locations, ill omens and familiar motifs) but I personally think it has yet to stray into predictable territory – and I sincerely hope it continues to be this entertaining for the rest of the series.